Eep, first post this month, ouch! Busy, busy, busy. Sooo, it was my 19th birthday this Monday, the 28th! It was one of my best birthdays so far, I loved everything and I'm going to tell you all about it! Read on. I decided to go to uni instead of staying home because my parents had stuff to do and my friends were too busy in their polytechnic institutes so I would be left all alone the majority of the day and that's no fun. My classes always start at 10am and finish at 4pm so most of the days I take lunch with me instead of spending money there, it's more economic. 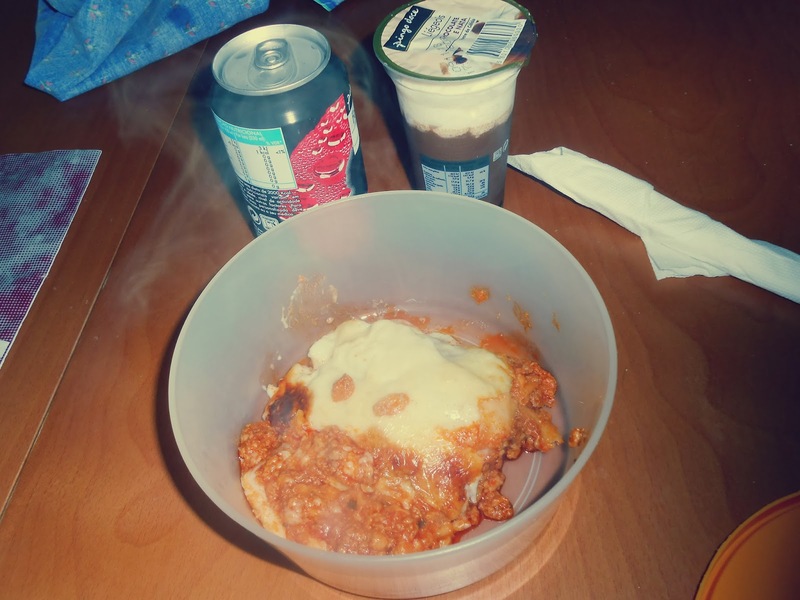 My lunch that day was lasagna, my favourite! And as for dessert, I had chocolate pudding with cream, also my favourite! Nomnom. When I got there, everything was normal because no one knew it was my birthday and I always find it stupid to just blunty tell it to everyone I talk to. But then my friends arrived and they basically told the whole world about it, haha. They sang happy birthday at least 6 times and they made me laugh so much that my cheeks started to hurt. They also bought a muffin as a pretend cake and put a candle on it, I thought that only happened in movies. When I got back home in the afternoon, I only had time for a touch up and a quick check-in online as my best friends appeared shortly afterwards for our dinner. They all brought lovely presents with them which I might make a few posts about here. We went out to dinner to a place called 'Duarte dos Frangos' which probably has the best roasted chicken in our city. The employees were really nice and understanding, they even wished me a happy birthday. They didn't mind me taking my birthday cake with me so after dinner my friends and family sang happy birthday (once again) and I blew the candles. The cake was baked by my wonderful mother and it tasted as good as it looks. 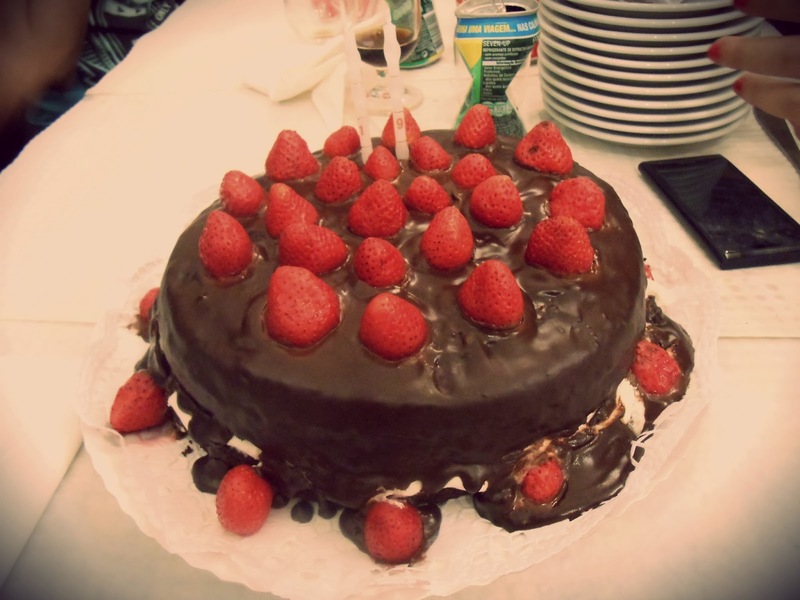 Chocolate cake with cream and strawberries, yes please! After dinner we went for a walk but it didn't last long because we all had work/school the following day. I think it was my favourite birthday because I was surrounded by love everywhere and it was the first time celebrating my birthday in university. I hope your Monday was just as good!